United Continental will become the first major U.S. air carrier to limit its lowest-fare customers to one carry-on bag that fits under the seat in front of them — not the overhead bin, which will be reserved for those who paid more. The airline made the announcement in unveiling a series of new policies that it hopes will add up to almost $4.8 billion US in cost savings over the next four years. Starting in January, America's third largest airline will roll out a new fare class, known as "basic economy." "This new offering provides customers the option of paying the lowest fares to their destinations, while still receiving the same standard economy experience, including food, beverage, Wi-Fi and personal device entertainment, with a few key differences," the airline said. You will board last, after all other passengers, in a new boarding group — group 5. You'll be allowed only one personal carry-on item that must fit under the seat in front. "Customers have told us that they want more choice and basic economy delivers just that," United's COO Julia Haywood said. It may sound unpleasant, but that too is an added benefit — from the airline's perspective. The airline is banking on people being willing to pay extra to use the overhead bins as a new source of revenue. And even if they're not, the plan should save the company money by speeding up the boarding process as people will have fewer onboard bags to find space for onboard. The move goes one step further than actions by Delta and American, which this year already moved to eliminate reserved seating, the ability to change travel plans on the same day without a fee, and the ability to accrue frequent flyer miles on its cheapest fares. But United's move makes it the first to attempt to monetize carry-on to this level. While the airline is pitching the plan as giving consumers more choice, one prominent traveller advocacy group isn't buying it. 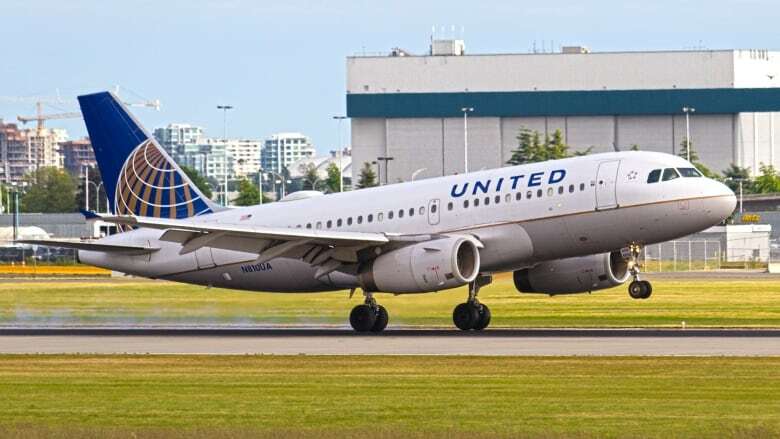 "These airlines are claiming that they are offering more choice and better service, while they eliminate amenities and charge more and more fees," Charlie Leocha of Travelers United said. "Consumers should have a right to honest advertising and understandable pricing. They should have a right to compensation when paid services are not rendered,"
"When passengers are suffering while the airlines are making profits hand-over-fist, that is when regulations come into play," Leocha said. Air Canada mistaken fares: Winning a lottery or taking advantage?